The government witness told the jury that the gunplay and cash payoffs were key components of the Sinaloa cartel's business model. Infamous Mexican drug lord Joaquin "El Chapo" Guzman, armed with a diamond-encrusted pistol, relied on rampant bloodshed and bribery to protect his multibillion-dollar drug smuggling operation and his hold on power, a former lieutenant for his cartel testified on Monday at his Guzman's U.S. trial. During his third day on the stand as a government witness, Jesus Zambada told the jury that the gunplay and cash payoffs were key components of the Sinaloa cartel's business model. 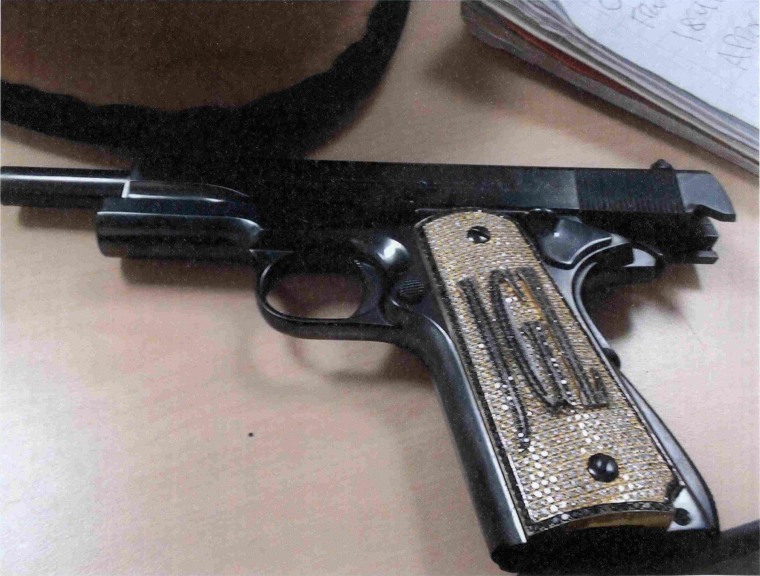 The jurors were shown a photo of the pistol decorated with Guzman's initials as the witness described the brutal way the cartel dealt with various violent threats and personal slights. According to Zambada, he was told by his older brother, Sinaloa cartel leader Ismael "El Mayo" Zambada, that a 2004 meeting between Guzman and a competitor named Rodolfo Fuentes ended poorly when Fuentes didn't shake his hand. The brother claimed afterward that Guzman made it clear he wanted Fuentes dead, and ended up ordering his killing. The defense has argued that cooperators like Zambada are framing Guzman to win favor from the court in their own criminal cases. On cross-examination Monday, the defense sought to suggest Zambada was minimizing his own role in the cartel and exaggerating that of Guzman as a mythical kingpin known for escaping Mexican prisons, when really they say he was in hiding most of his life of crime and not calling the shots. Defense attorney William Purpura asked Zambada how it was possible Guzman outranked him when there was evidence Guzman needed to go through him to get his supplies of cocaine. For emphasis, the lawyer pulled down Zambada's mugshot from a lower portion of a cartel organizational chart on display in the courtroom and held it above one of Guzman.